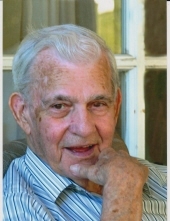 Cecil Henson of Gary, IN passed away November 24, 2018 he is survived by his children Larry (Kathy) Henson, Lonnie Henson, Donnie Ray Henson, Kenneth (Paula) Henson, Brenda (Al) Yack, Chad (Caesar) Henson, Roger Henson, Johnny Henson, 18 grandchildren, 18 great-grandchildren, three sisters Sally Couch, Flossie Smith, Florence Bowles, two brothers Charles Henson and Ray Henson, & many nephews and nieces, preceded in death by his wife of 64 years, Ruby Henson; his parents Ed & Logan Henson, daughter Loretta Henson, granddaughter Charity Henson & grandson Booker Tee Paul Henson, two brothers Herman Henson & Arnold Henson. A Celebration of Life Gathering will be held Tuesday, November 27, 2018 from 3:00 p.m. to 7:00 p.m. at Kuiper Funeral Home, 9039 Kleinman Road (two blocks south of Ridge Road) Highland, IN. Additional visitation will be held Friday, November 30, 2018 from 6:00 p.m. to 9:00 p.m. at Britton Funeral Home, 27 Old Highway 421, Manchester, KY 40962. A Celebration of Life Service will be held Saturday, December 1, 2018 at 12:00 p.m. at the funeral home with Rev. James Ferguson officiating. Interment will follow at Smith Cemetery, Garrard, KY.
Cecil retired from US Steel, a veteran of the Korean War, Member of PCG Family Worship Center, Hammond IN, which he served on the worship team and also was a board member. A Loving Husband, Father, Grandfather and Uncle to many. To send flowers or a remembrance gift to the family of Cecil Henson, please visit our Tribute Store. "Email Address" would like to share the life celebration of Cecil Henson. Click on the "link" to go to share a favorite memory or leave a condolence message for the family.